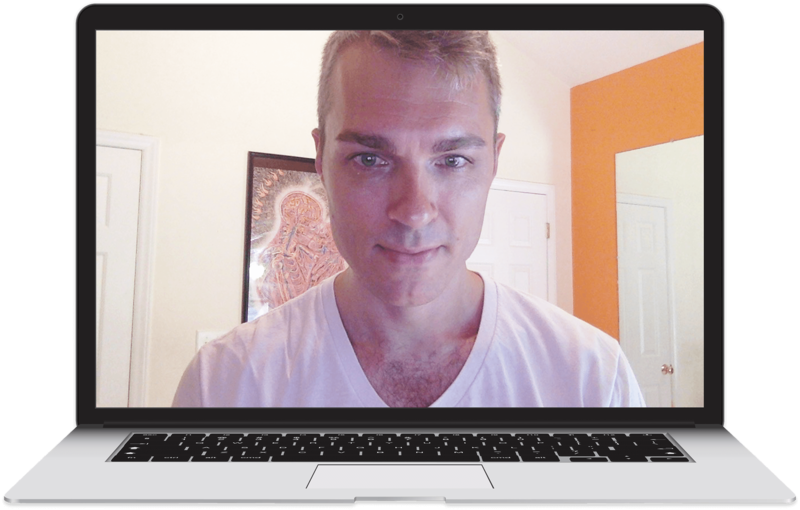 Get face-to-face virtual* coaching from Adrial, the creator of The H Opp. *We can use Skype, Facetime or Zoom — all are free. Hi, I’m Adrial, creator of the Herpes Opportunity. It is my heartfelt mission to support everyone with herpes with their inner journey of transforming Pain & Suffering into Opportunity & Love. I'm humbled and honored that thousands visit our community H Opp forums every day from all around the world to support others and be supported. I’ve had the honor of coaching hundreds of people through shame resiliency (one-on-one and in group settings) since I became a certified Co-Active Coach (CPCC) in 2011 ... and I am amazed by how self-awareness and self-acceptance can completely shift our perspectives and our lives for the better. (It's like discovering a superpower!) And with practice, we get better and better at living our Opportunity every single day, strengthening that muscle of inner authority. If you are ready to transform perceived blocks in your life into opportunities to grow, heal and transform, then I'd love to help. A coaching relationship is a safe and powerful one-on-one space we create together for awareness, healing, resiliency and exponential growth. Because the coaching relationship is two people (you and me) focused on you with acceptance and curiosity, coaching has the magical effect of amplifying your awareness, which ultimately gives you more choice in your life. (The more you can truly see yourself and your own patterns without judgment, the more you can take conscious action toward becoming who you are.) By us having our nonjudgmental attention on you, feeling what needs to be felt, and consciously shifting outdated thought patterns, your life changes. If you are ready to dig deep to transform shame by discovering your authentic identity (and living from there). If you want to tame that self-critical voice in your head to make it your ally instead of your enemy. If you are ready for a deep, trusting, heartfelt romantic relationship, but don't think you're worthy of it. If you are ready to alchemically transform suffering into powerful leverage for healing, happiness and love. If you are ready to move your identity (the way you see yourself) from disempowered to empowered. If you can see on some level that this ultimately isn't really about herpes, but instead it's your opportunity to reach deeper into your own truth, integrity, authenticity and heartfelt power to shine brighter than the shame currently overshadowing you. If your question isn't answered here, please feel free to reach out directly to ask. Therapy tends to focus more on the past, coaching on the present/future. Therapy tends to focus on fixing something that is broken (problem-focused); coaching starts from belief that we are all naturally creative, resourceful and whole (strengths-focused). Therapy is a professional-client relationship, coaching is a peer-to-peer relationship with curiosity and awareness as our tools. And to be clear, coaching isn't better than therapy or vice versa, just different. You may have a therapy relationship that allows you to delve into deep childhood wounds and family dynamics, which allows you to understand your past and how it has contributed to your current patterns. You can use coaching to build your awareness of how these past patterns show up now, work to reframe your perspective, and move forward from a place of groundedness, wholeness, strength and choice. What will I get out of coaching? You will get out what you put into it. I will meet you wherever you are and we will work together to reframe and refocus your perspective, but you will need to practice and do the work to get lasting benefits. The analogy of going to the gym is helpful to understand this dynamic: Your trainer can work with you to understand your fitness goals and give you exercises to reach those goals, and even be by your side while you do the exercises ... but it's ultimately up to you to do the cardio and lift those weights. Practice, practice, practice is key. How often do you suggest we meet? The more you are hurting emotionally, the more we should meet initially. As we work together, you may find yourself being able to space out our coaching sessions more. If that is the case, we can realign the scheduling after our current commitment is complete. Is it private and confidential? Absolutely. 100% private and confidential. I personally understand the utmost importance of having a container built on safety and trust surrounding us to allow deep healing to take place. I take it very seriously. What if I don't have Skype? Skype is free and easy to download (just google "Skype download"), but we can also use Facetime or I can send you a Zoom link as other video conferencing options. It's important to be face-to-face for these sessions, so audio-only options (e.g. a phone call) isn't sufficient. No, coaching is not covered by insurance. A 25-minute one-on-one laser coaching experience with Adrial that leads you through the experience of re-framing shame from liability to opportunity. If you are struggling with burdensome thoughts and feelings, this is a powerful way to begin to transform them into inspiration and personal power. Four (4) 50-minute coaching sessions per month. Next steps: After payment is received, you will be forwarded to my calendar to find a day/time that fits your schedule! An opportunity to accept myself. What your insights have offered me was an opportunity to accept myself, and not base my self-worth on what others think. Today I can honestly tell you that I don't see myself as broken or damaged goods ... those ideas I had about myself have been replaced with self acceptance, love, courage and empathy. I'm even stronger and more resilient than before. I thought I would never be the same bubbly, optimistic, happy person that I once was. I thought I was doomed to a lonely, shameful life. But nope, I am an even stronger more resilient individual than I was before ... Thank you, thank you, THANK YOU. I can feel things inside shifting, changing ... healing. I realized, on a completely different level, how much I had been sabotaging myself in relationships. Finally ready to take this journey. This was the gift I needed to give to myself ... I finally am ready to take this journey of self-acceptance ... in ways I never have been before. Any questions? Send a message. Thank you! Your message has been received. I'll get back to you as soon as I'm able.